News Center|Company news|We are a Bluetooth speaker manufacturer integrating R&D, production, sales and service. 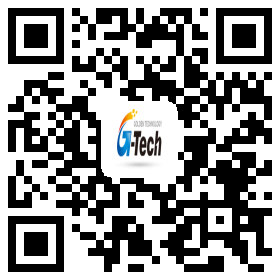 We are a Bluetooth speaker manufacturer integrating R&D, production, sales and service. Has 11 years of ODM & OEM experience in manufacturing of the field of computer peripherals products. Since 2012,we are specialized in producing Bluetooth Speaker,“Quality Products, High Efficiency, Innovative Development, Best Service" is our management principle. Our products are widely recognized and trusted by users and can meet continuously developing economic and social needs. In addition, we have our label brand ,and obtained 9 patents already. Throughout the years, we have successfully cooperated with top brands “Disney”, “Hello Kitty”, “Walmart”, “Best Buy”, “Target”, “Crayola”, “Walgreens”, “Sponge Bob”, “Angry Birds”. Our Bluetooth Speaker brings you great Chinese sound, also avoid multiple wires problem. We have strong team of Bluetooth Speaker design(including shape appearance design & PCB design), and engineering supported by our experienced engineers, and well-equipped SMT production line. Our Bluetooth Speaker can be used for Smartphone, Tablet, Laptop, Desktop PC, Bluetooth-Amplifier…any device can be connected to your speaker through Bluetooth. Armed with fashion & unique design & high technology, our position as a leader of ODM & OEM services has been well known in global market. We are willing to establish long and stable business relationships with more customers from all over the world.